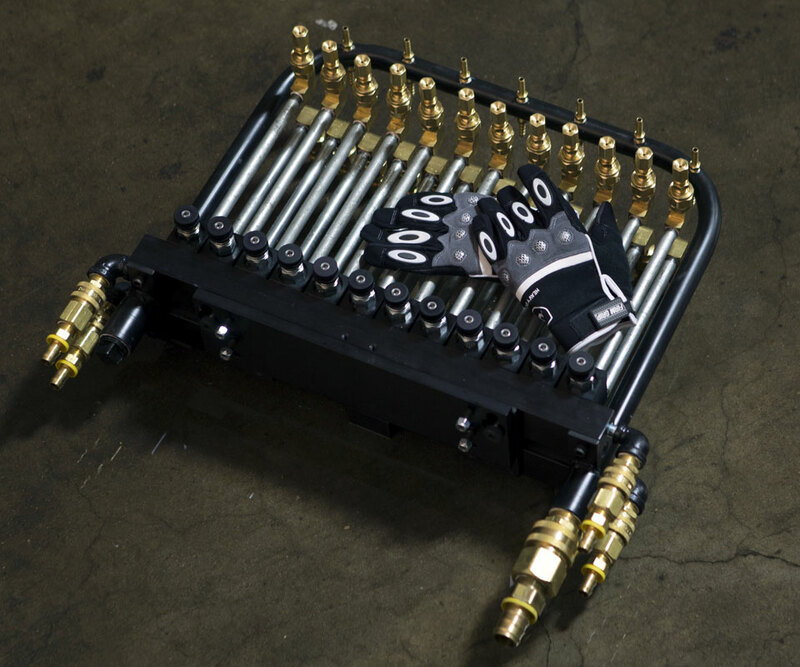 Industrial Innovations Lubricant Spray Quick Release Multi-Connection Manifold enables “one-click” disconnect and connect of multiple hoses to simplify lube line hookup. This helps to reduce changeover time and ensure lubricant spray is applied where intended every time. 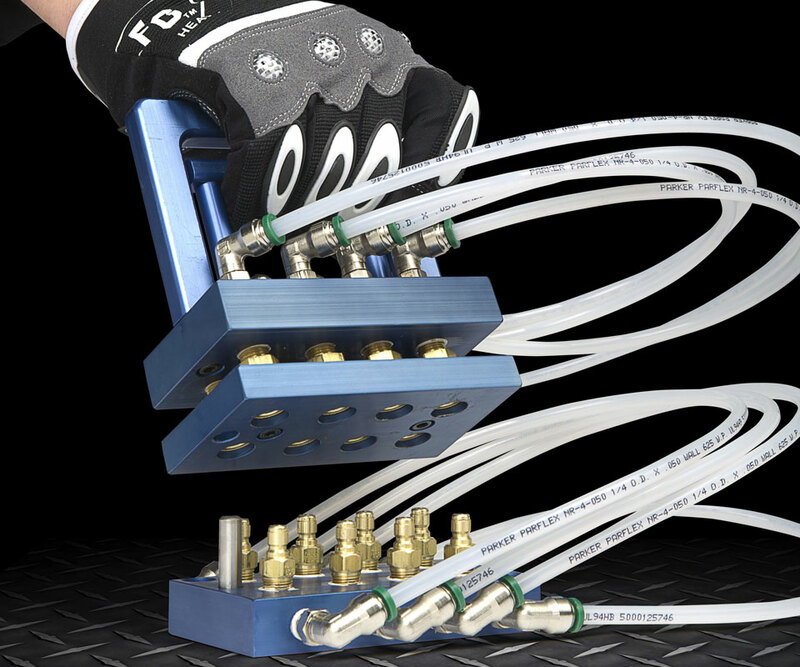 During die changeover, the operator simply unclicks the quick-disconnect manifold and removes the die. The new die is then put in place and the new manifold plugged in. 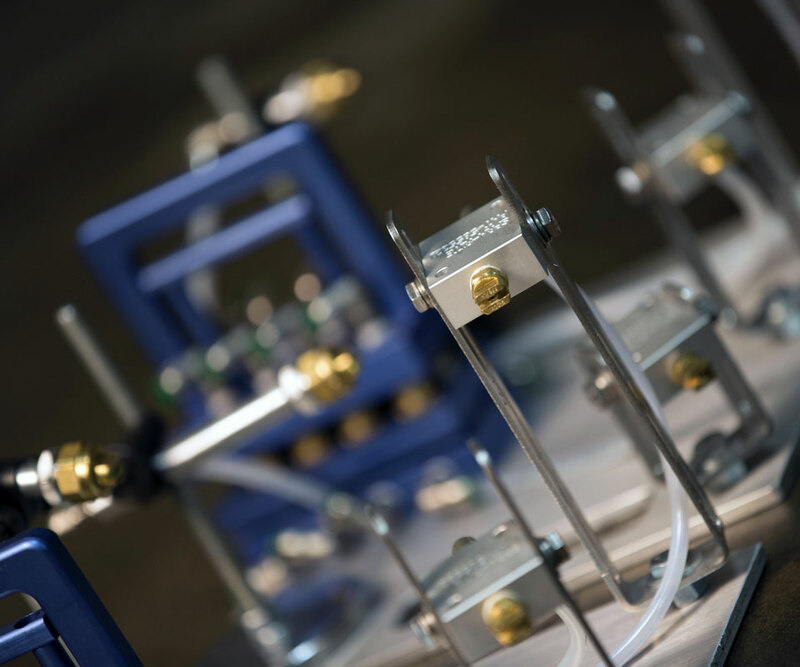 The operator then loads the part program and spray profile for accurate volume, placement and timing of the lubricant. Read more about this product and how it can improve your operation.